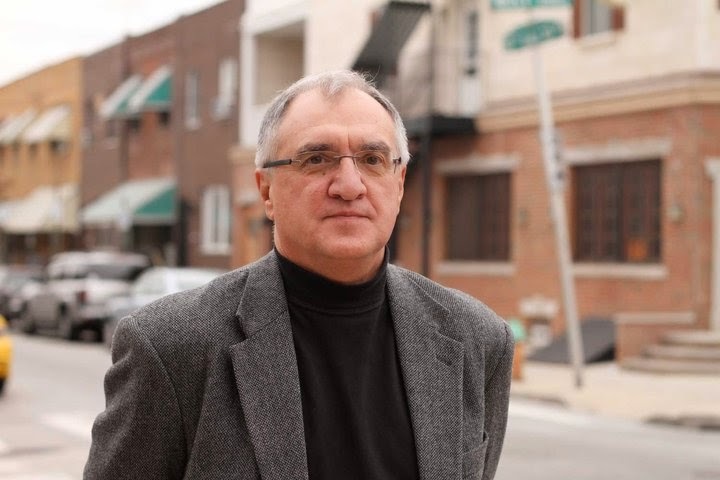 Veteran crime reporter and author George Anastasia (seen in the above photo) is covering the so-called Philly rogue cops case for bigtrial.com. Walker, depending on your perspective, provided either the high or the low point of the now three week-old trial. By his own admission, he was a liar, cheat and thief during most of his 24 years with the Philadelphia Police Department. But that's a description he and federal prosecutors say that also fits the six members of the Narcotics Field Unit sitting at the defense table in U.S. District Court. Walker, 46, took the stand after the jury had heard tales of corruption and abuse from a half dozen admitted drug dealers who in one way or another said their constitutional rights had been trampled on by lead defendant Thomas Liciardello and his five-co-defendants. The jury heard more of the same today from several other witnesses arrested by what authorities allege was a rogue unit led by Liciardello. But it's hard to generate sympathy for criminals which is part of the dilemma facing prosecutors in this case. From many of the reader comments on this website it's clear that there are those who believe the defendants were the front line of defense in a war of drugs and that in that war all that mattered was winning. Prosecutors, on the other hand, have painted the six accused cops as urban bandits with badges.